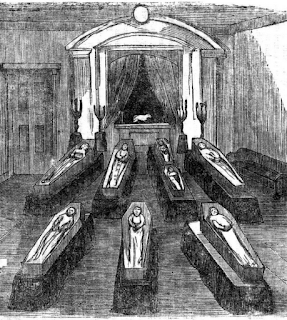 For several days there had been no activity on the Deering farm, just south of the city of Philadelphia, so on April 11, 1866, their neighbor, Mr. Ware, went over to see what was wrong. He found the house empty, but in the barn he saw a human foot protruding from the hay. 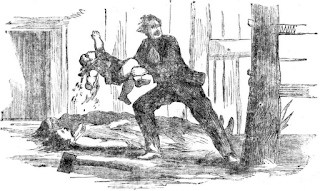 Ware ran for help, and together they uncovered the brutally mutilated bodies of Christopher Deering, his wife Julia, four of their children—ranging in age from eight years to fourteen months—and Elizabeth Dolan, a visiting cousin. Outside the barn they found the body of Cornelius Cary, seventeen-year-old hired hand, similarly mutilated. The following day, the headline in the Philadelphia Inquirer bore the single word: “Horror!”. Only two members of the Deering household had been spared. Ten –year-old Willie Deering had been away visiting his grandparents that day, and Antoine Probst, a young German immigrant who worked as a hired hand, and lived with the Deerings was nowhere to be found. Probst quickly became the prime suspect and a one thousand dollar reward was offered by the mayor of Philadelphia for his capture. 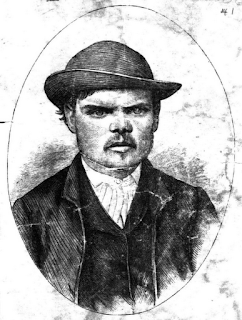 Antoine Probst had come to America from his home in Baden in 1863, at age twenty. Within two hours of his arrival in New York, Probst was persuaded to enlist in the Union Army, enticed by a $300 bounty being offered to new recruits. He travelled in the Twelfth Pennsylvania Cavalry for six or eight weeks before deserting. Returning to New York, Probst tried the same trick again, enlisting in the Forty-first New York Infantry Regiment for the bounty. Nine months later he deserted in Washington, traveled to Philadelphia, then enlisted in the Fifth Cavalry. In May 1865 he was honorably discharged. Probst never saw any action during his time in the military, but during one stint he accidentally shot off his own thumb. Though the bounty racket had proven successful, Probst squandered his money on alcohol and women and was perpetually poor. Looking for the work, he stopped at the Deering’s farm on the south end of Philadelphia. Mrs. Deering, knowing that her husband needed a farmhand, hired Probst on the spot for fifteen dollars a month and room and board. But Probst was not cut out for farm work. One day, about three weeks after being hired, Mr. Deering sent him out to work on a rainy day. Not wanting to work in the field in the rain, Probst tendered his resignation, took his pay and left the farm. Probst did some odd jobs in Philadelphia then, either sick or feigning sickness, he went to the Philadelphia Alms house and stayed there for several months. In February 1866, Probst returned to the Deering farm and asked for his job back. Mr. Deering took pity on the poor German boy and rehired him for ten dollars a month. This time, though, Probst had more on his mind than farm work. During his first stay at the farm, Probst had seen Mr. Deering counting money and he believed that the Deerings kept large sums of cash in the house. He planned to steal the money at the earliest opportunity, and he did not rule out the possibility of killing Christopher Deering or other members of the family to get it. Probst saw his opportunity on Saturday, April 7, 1866. Christopher Deering had left early in the morning to go into the city and pick up his cousin Elizabeth Dolan. Probst carried a large axe—the one they used on tree roots—as he went into the fields with the other hired hand, Cornelius Cary. It started raining and they took refuge under a large tree. 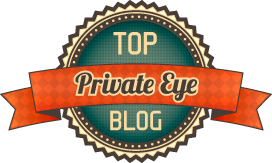 As Cary sat under the tree talking about the job, Probst stood behind him and, lifting the axe, swung it across the left side of Cary’s head. 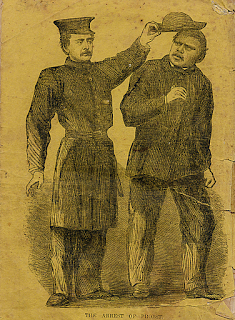 After several more blows, Probst cut his throat, severing Cary’s head. He returned to the barn, and after setting the large axe, together with a small axe and a hammer, in the corner of the barn near the door, enticed the Deering family into the barn, one at a time. Probst told eight-year-old John Deering that he needed his help and after John entered the barn hit him on the head with the small axe. As with Cary, he applied several more blows to the head then chopped at the throat. Then he went to the house and told Julia Deering that he needed help with a colt in the barn. After she entered the barn, Probst gave her the same treatment he had given her son. He told six-year-old Thomas Deering that his mother needed his help in the barn, then likewise dispatched Thomas. 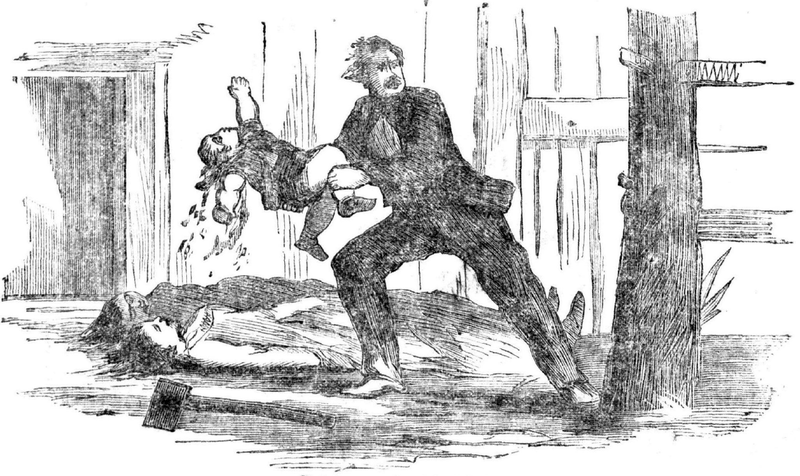 He told four-year-old Annie the same story and while carrying fourteen-month-old Emma Deering, he led Annie into the barn. Annie saw the axe coming and raised her hand for protection. Probst severed her fingers before landing an axe blow to her head. Finally he killed the baby as well. Around half-past one in the afternoon, Christopher Deering returned with his cousin, twenty-five-year-old Elizabeth Dolan. Dolan took her clothes and went into the house and Deering went into the barn followed by Probst. Probst killed Deering with the small axe then went into the house to find Dolan. She asked him where everyone was, and he told her in the barn. 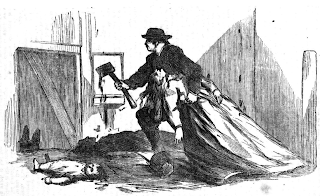 He followed her into the barn, killed her with the hammer and chopped her throat with the small axe. He arranged the bodies in straight rows and covered them with hay. Then Probst went looking for the money. In Christopher Deering’s wallet he found fifteen dollars, though three dollars were counterfeit. He searched the house but did not find the money he believed was there. He took what he could from Mrs. Deering’s pocketbook, and stole coins from the children’s money boxes. The cash he found totaled less than twenty dollars. Police in Philadelphia were on the lookout for Probst, a “Dutchman” with a missing thumb. Officer James Dorsey was particularly determined, questioning so many Dutchmen that his actions became a joke among his fellow officers. The night of April 23, he was standing on the corner of Twenty-third and Market with two of his comrades when they saw a man, face covered by a slouch hat, leaving a saloon. They all laughed, but Dorsey followed him anyway. He pulled the hat off the man’s head and looked him in the face. “You’re a Dutchman!” said Dorsey. “No, me Frenchman!” the man replied. But when Dorsey saw that the man was missing a thumb, he knew he had captured Antoine Probst. Probst was questioned by the Mayor of Philadelphia through a German interpreter. 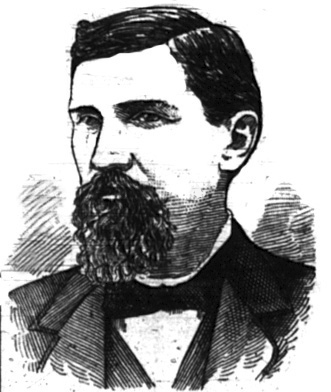 He admitted to killing Cornelius Cary but claimed that his accomplice, a Mr. Gaunter, had murdered all the rest. After the questioning, as the officers were taking Probst from the Ninth ward stationhouse to Moyamensing Prison, they were attacked by an unruly mob. The crowd, which included relatives of the murdered family, tried to seize the prisoner, and it was all the officers could do to prevent Probst from being torn to pieces. Antoine Probst was charged with eight counts of first degree murder. On the recommendation of his court-appointed attorneys, Probst pled not guilty to all charges. The defense tried to emphasize the circumstantial nature of the evidence against Probst, and stress the unlikeliness that one man could have done all the murders. But their argument had little impact on the jury who returned after only twenty minutes of deliberation, with a verdict of guilty to all counts. Following his conviction and death sentence, at the urging of his attorneys and his spiritual advisor, The Reverend P. A. M. Grundtner, Probst agreed to confess to all of the murders. Probst, a Roman Catholic, fingered his rosary beads as he dictated, in broken English, the details of all eight murders. He had become obsessed with the money he believed was in the Deering house, and robbery was the sole motive for the murders. Probst’s body was given to Dr. B. Howard Rand who, with five assistants, performed a number of scientific experiments on the corpse. The right eye was removed and carefully examined in an attempt to test the theory, prevalent at the time, that the last image seen by a dead person remains impressed on the retina, as with film in a camera. In another experiment, electrodes were attached to the mouth and temple and a strong electric current was applied, causing the jaw to convulse and the chest to heave. After the experiments, the body was taken to the Jefferson Medical College for a post mortem examination. Probst’s skeleton was removed and preserved. For many years it was displayed in the museum of the college. Probst, Anton. The Life, Confession, and Atrocious Crimes of Antoine Probst, The Murderer of The Deering Family. To which is Added a Graphic Account of Many of the ... Murders Committed in this and other Countries Philadelphia: Barclay, 1866. Sprogle, Howard O.. The Philadelphia police, past and present pp. xxiv. 671. [The Author: ] Philadelphia, 1887. Rubin, Daniel. "Daniel Rubin: After the massacre of all but a boy, family lives to tell the tale." The Inquirer [Philadelphia] 12 Apr. 2009. Wow, eight at one time. Amazing how this murder is unknown yet Lizzie Borden gets a movie, B&B, and a macabre children's rhyme. Seems like the best way to be remembered is to beat the rap, or not get caught. The medical report stated that Antoine Probst had a brain one pound lighter than the average human being. I think there is no doubt that he was not in complete control of his mental faculties. You have to have a low IQ to kill that many people for the amount of money he got. Brutal slayings over the current equivalent of $302 a week.